I feel like a big fibber! I said "I'm back"! and then I disappear for days, weeks???? Sorry, I have my son home for the summer, I am gardening and trying to keep the kiddo off the computer and XBox that is a chore in it's self! I always find time for the hubbie so here is another restaurant review for ya! My daughter recently moved out on her own for the first time (crying on the inside) no I'm kidding, I am very proud of her and happy for her. 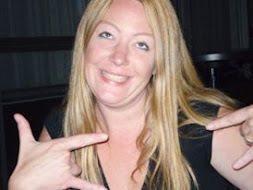 Anyhow.......... She went to a newer restaurant by her home called the Crooked Pint, love the name. We have actually been there twice now (hubbies idea). He, as always. Loved the food there. Both times he tried their Hot Lips Lucy, Serrano peppers, habanero jack, sautéed onions, and spicy bistro sauce. I ordered a lobster grilled cheese the first time we went there and a bacon burger the second time, mmmm nummmmm. We have tried the Tater Tots and the Spicy stuffed pickle chips. Both super good! Both very creative appetizers in my eyes. The Spicy stuffed pickle chips are a combination of fried pickles and cream cheese jalapeno poppers, say what!!!! Num I want one now! Now on to the atmosphere, there is a nice bar area then the restaurant has a glass retractable roof! Shut up right! You can also sit out side next to bocce ball area, super fun game if you have not tried yet. There is a Minneapolis location and another in Apple Valley, we visited the Apple Valley restaurant. Here is another restaurant to put on your list of places to try if your ever in the area. Heard good reviews of this place and eat there yesterday in Duluth. Service was very poor and their Cuban left a lot to be desired. Not even a good attempt at a sandwich. Tater tots are awesome. 2 tap beers a Cuban and tater tots, $35. Will never return. 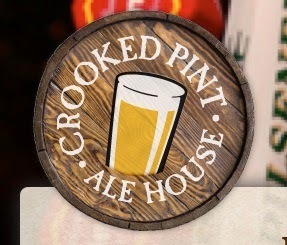 I wrote up this review 3 years ago,I have eaten at Crooked Pint in Apple Valley 2 times after this visit also the Mpls. Location. It never lived up to that 1st visit. I'd skip it too!